With the firm and outstanding presence in the VoIP mobile dialer turf, Adore Infotech comes up with its latest product VoIP Mobile Dialer for Windows Phone 8. 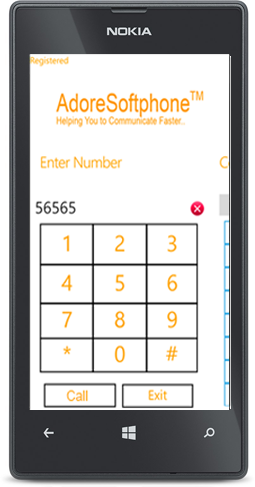 The robust and reliable construct adorned with immaculate design and sophisticated keys make this VoIP mobile dialer for windows phone 8 a frontier in the field of VoIP solutions for mobile phones. Adore Mobile Dialer empowers the Windows 8 Smartphone with the live voice chat by using the VoIP service. Whether it’s mobile to mobile, mobile to landline or mobile to PC call, it can perform all with excellent voice clarity. 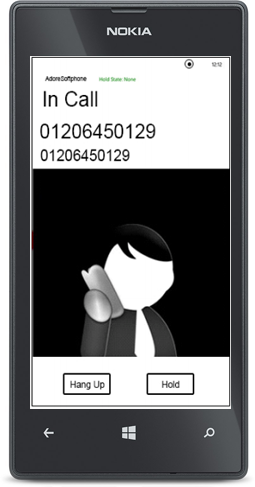 Mobile Dialer (Voip) for WP8 with one company Name/Logo.